Activities at high altitudes like mountaineering, climbing and mountain hiking are fun and exhilarating. But as you go higher, the air’s content of oxygen decreases. However, your muscles need the same amount of oxygen whether you are at sea level or at 10.000 feet. Therefore, you will be slower at high altitudes, whether you are packing a backpack or climbing a steep section towards the top. To get an impression of the impact that altitude has on performance, it is very useful to look at the so-called VO2 max. It represents the maximal aerobic capacity which translates directly to how fast you can move. The VO2 max of a well-acclimated mountaineer on top of Mont Blanc (15.780 ft., 4810 m) will be only 70% of his VO2 max at sea level, meaning that the mountaineer will be 30% slower on top of Mont Blanc. VO2 max drops in average for 5% for every 3.280 ft. (1000 m) gained below the altitude of 10.000 ft (3000 m). Above 10.000 ft. the drop is more significant and can reach 15% per 3280 ft gained (1000 m). However, the lower amount of oxygen at high altitudes does not only affect your speed and performance but can also lead to acute altitude sickness. In some cases, although rarely, acute altitude sickness can appear as low as at 6.600 ft. (2000 m). Therefore, you need to acclimate to climb high mountains or hike at high altitudes. In the following we’ll explain how to acclimate for mountaineering and hiking at high altitudes, discuss acute altitude sickness and give you some practical tips for adjusting to high altitudes. 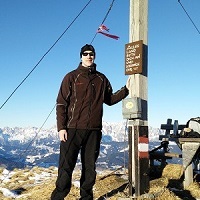 How to Adjust to High Altitudes? 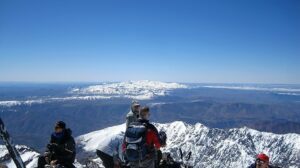 What is acute altitude sickness? How to acclimate to high altitudes? Most people start feeling the effects of altitude such as increased blood pressure, heart rate and breathing rate above 7.000 ft. (2100 meters). When your body detects the lack of oxygen in the air, it stimulates the release of a hormone, called erythropoietin, which triggers your bone marrow to build more red blood cells that transport oxygen from your lungs and around your body. The increased number of red blood cells compensates for the lower availability of oxygen in the lungs. 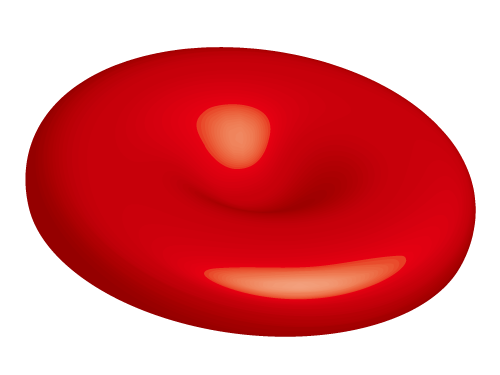 However, the new red blood cells take seven to ten days to mature. It therefore makes sense to regularly expose your body to higher altitudes (during day trips or weekend trips) and thus stimulate your body to produce more red blood cells, before climbing a very high mountain or going for a long hike at high altitudes. Altitude sickness typically occurs after a rapid ascent to high altitudes and can usually be prevented by ascending slowly. Most often people get altitude sickness between 11.500 ft. (3500 m) and 15.000 ft. (4500 m) above the sea level because they ascend too rapidly during one- or two-day climbs to such altitudes. The most common symptom of altitude sickness is headache (not to be confused with headache due to dehydration) followed by one or more of these symptoms: fatigue, insomnia, loss of appetite, nausea, vomiting and nose bleeding. If you encounter these symptoms, it is best to descend and rest until your body acclimates. More serious medical conditions which can occur are HAPE (High Altitude Pulmonary Edema) and HACE (High Altitude Cerebral Edema). HAPE is fluid accumulation in the tissue and air spaces of the lungs and entails symptoms such as fever, a persistent dry cough, chest tightness, blue skin color and wheezing while breathing. HAPE can occur as low as at 8.000 ft./2500 m (although only very rarely) and remains the major cause of death related to high-altitude exposure. However, less than 1% of unacclimated mountaineers below the altitude of 13.000 ft. (4000 m) get HAPE. You must immediately descend to lower altitudes if you encounter symptoms of HAPE. HACE is a condition in which the brain swells with fluid, and can be prevented by ascending to high altitudes slowly. It is a very rare condition that occurs in less than 1% of unacclimated mountaineers below the altitude of 13.000 ft. (4000 m). The symptoms of HACE are headache, nausea, vomiting, fever, confusion and loss of consciousness. A mountaineer with HACE should be immediately descended to lower altitudes and given supplemental oxygen. HACE is in most cases fatal if not treated within 24 hours and should therefore be taken extremely serious. The best way to acclimate to high altitudes is to ascend slowly, especially above 10.000 ft. (3000 m). 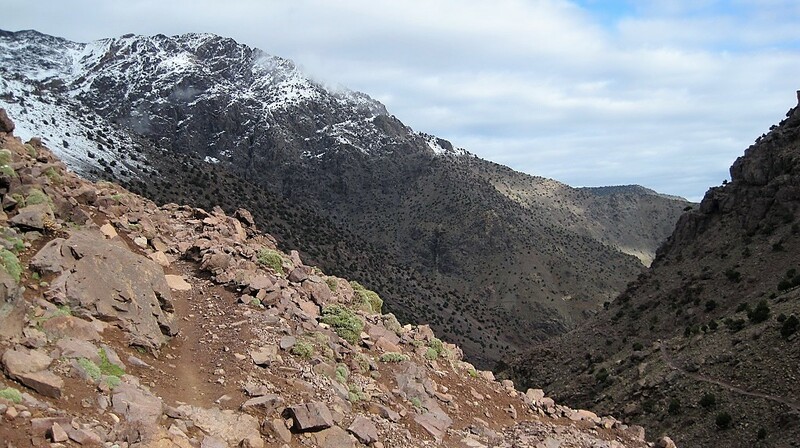 If you are, for example, climbing the 13.700 ft. (4167 m) high Toubkal in Morocco, climb to the Refuge du Toubkal at 10.500 ft. (3207 m) above the sea level on the first day and then spend two nights there to properly acclimate. If you encounter symptoms of altitude sickness at 10.500 ft, descend lower and spend a night there before heading back to the Refuge. The slower you ascend, the less likely it is that you will get altitude sickness. For longer trips at high altitudes it is smart to use the “Climb High, Sleep Low” technique which dictates that your elevation gain of each night’s sleeping altitude shouldn’t exceed 1000 ft. (300 meters). You should, however, climb more than 1000 ft. per day but then descend low to sleep. Guides often use this technique on Kilimanjaro’s Marangu trail; they lead hikers up from Horombo Huts (12.000 ft., 3700 m) to the Mawenzi Hut at 15.000 ft. (4600 m) before returning that same day. This gives hikers the possibility to acclimate and experience high altitudes. Note that acclimating to high altitudes is always tricky and unpredictable. You might get altitude sickness while climbing a 11.500 ft. (3500 m) high peak even though you previously climbed a 13.000 ft. (4000 m) high peak without any symptoms at the same rate of climb. The rule of thumb is to listen to your body and ascend slowly when needed. By climbing relatively high altitudes (3000 ft. – 11.500 ft./1500 – 3500 m) throughout the year you will force your body to regularly produce more red blood cells that carry oxygen. 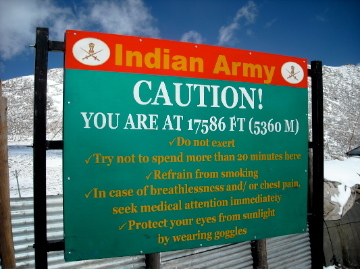 Thereby, you will reduce the chance of altitude sickness when climbing even higher mountains and peaks. Keep in mind that just being at high altitude puts a strain on your body which makes it important to rest. It is more than reasonable to take a day off in the mountain hut to give your body a chance to acclimatize to high altitudes. You should of course stay hydrated to avoid the adverse effects of dehydration. However, do not drink too much water as this will make you feel nauseous and bloated. It is recommended that you drink regularly throughout the hike which can be complicated on tricky terrain. A hydration bladder comes in very handy on such trails because it allows you to drink on the go without hassle. When you reach high altitudes, your appetite will be weak. However, it is important that you eat regularly. We recommend eating carbohydrates and calorically dense food because you will get the needed calories fast with such food. Note that losing weight at high altitudes is completely normal. Appetite is also a good indicator of proper acclimatization – the stronger the appetite, the more acclimated you are. Many high-altitude mountaineers take Aspirin daily because it helps them thin the blood. Note that your plasma volume drops at high altitudes. However, so far studies showed no positive or negative effects of taking Aspirin at high altitudes.